Win a HTC VIVE VR Headset + Deluxe audio headstrap | FreebieFinder UK | Freebies, Samples, & Other Free Stuff. 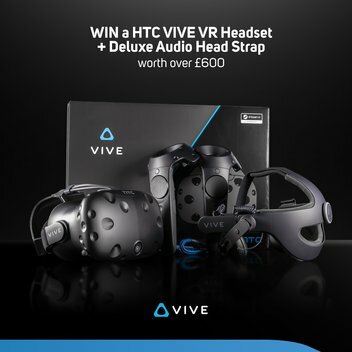 Enter this Scan Computers competition, and you could stand the chance of winning a HTC VIVE VR Headset package LN70472 as well as a HTC Deluxe Audio head strap LN81160. This was posted 3 months ago 18th January 2019 and expired 3 months ago 21st January 2019. Complete the form with your details to be in with the chance to win.